My sister and I have been travelling for two months now and made our way to Chiang Mai just two weeks ago. We really wanted to learn more about Asian elephants so we spent quite a bit of time searching for a humane sanctuary that puts it’s elephants first and tourism second. It was difficult to find such a place since everyone advertises humane treatment of their elephants to gain tourist activity but not all live up to their word. Thankfully we found Kindred Elephant Sanctuary in and chose them because of their ethical treatment of their elephants and the importance they place on making a difference in their community. 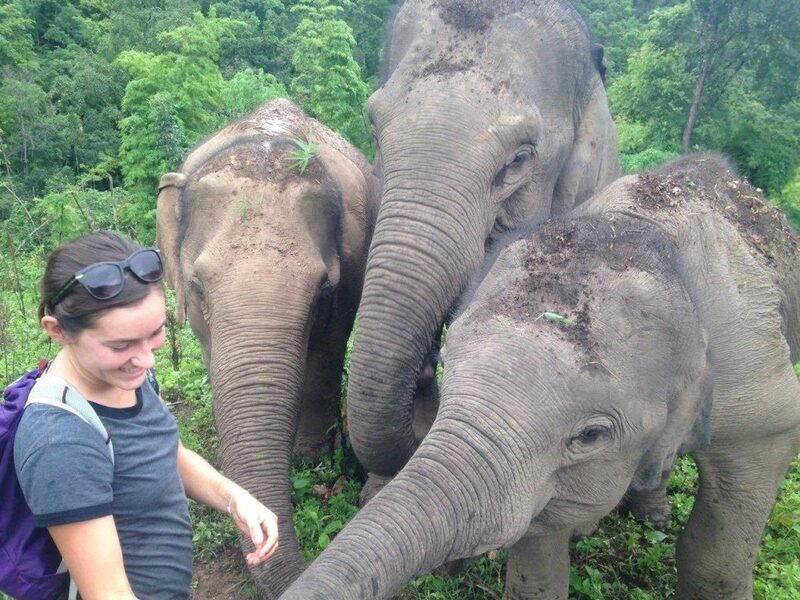 Their whole program is centred around a cultural experience that gives volunteers a once in a lifetime opportunity to live amongst the Karen villagers, experiencing their lives as well as having the opportunity to observe Asian elephants in a completely natural setting, foraging on over a hundred different native plants and being the beautiful creatures that they are. The forest landscape in which the elephants live are in the mountains of a forest in Northern Thailand – one in which is nothing short of beautiful. We are so lucky to be able to hike through these mountains in order to see the elephants everyday – simply a breathtaking experience. We only had time to stay for one week but in this short amount of time we learned about the Karen hill tribe who kindly housed us all week, we met and collected observation data on the Asian elephants, taught English at the local school, learned how to basket weave and had many more incredible experiences in which listing would take all the fun away from visiting yourself. 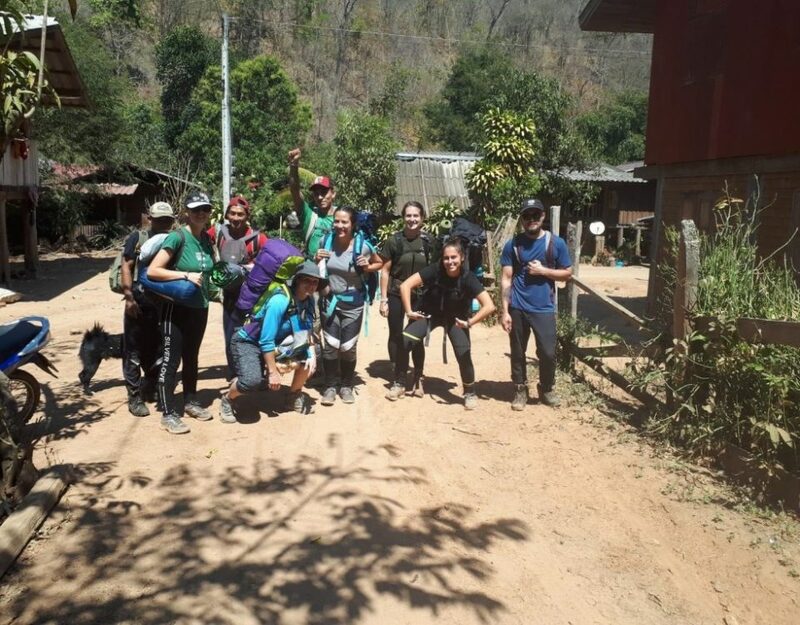 To put it simply, one week in the mountains of Thailand with amazing people doing such great work for the world will change your life completely. 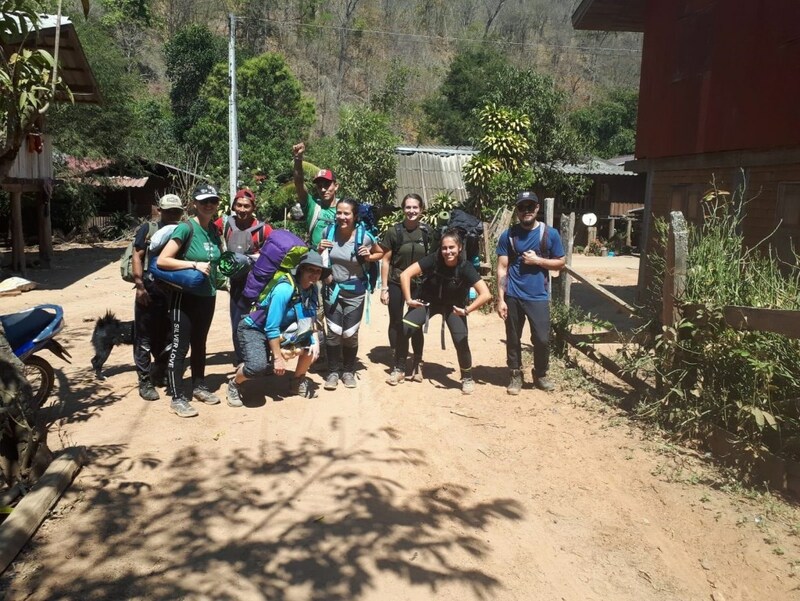 Their incredible dedication to returning elephants to their natural environment will make you think about what issues touch your heart and how you could make a difference in the world just as they are doing here with the multiple issues surrounding the elephants’ well-being in Thailand. One of my favourite experiences was helping one of the families plant corn. This was an important day because the corn produced from the family’s field will bring in an income that will support the family for the whole next year. Being such an important day, the whole community comes together and helps each family plant for the year’s harvest to come and we were so grateful to be a part of it. That day brought me so much respect for the villagers because of their hard work ethic and how much importance they place on cooperation. All ages come to plant and plow until the day is done from ages of six to sixty. Community spirit was high and the lunch break was long – it was just a lovely and unforgettable day. After my visit with Kindred Elephant Sanctuary, I feel inspired about life. I realized that I have a ton of interests to pursue after I return home but these are things that I never would have known without the knowledge and experience of the staff here at KSES. They have taught me so much about environmental issues, elephants and the important role they play as forest landscapers and they even taught us a little bit of the native language here in the village. I feel as though I will return home as a more productive member of society because I have been just so inspired by the kind of work they are doing here. Their love for elephants has made me fall in love with the world – making me think about all I can do to make this earth a better place. I’m sure all volunteers will feel the same as I – whether you spend a day or a few months here, you will be leaving as a better person I promise you that. If I ever return to Thailand I will definitely be coming back to see what new adventures Kindred Elephant Sanctuary will be embarking on next, I loved every moment here and am so grateful to know that people are doing wonderful things for the world. Thank you Kerri and Talia hope to see you again!